The APPG on Rare, Genetic and Undiagnosed Conditions held its Annual General Meeting in February 2019. The aims of the group, agreed by members, are to increase awareness of rare, genetic and undiagnosed conditions in parliament and help ensure that patients and families affected by these conditions have access to appropriate care and support. There are over 40 members from across the House of Commons and House of Lords who are on the APPG. 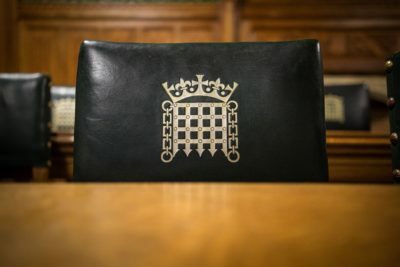 In January 2019, the APPG held its Annual General Meeting and elected Catherine West MP as Chairs, Rt Hon Dame Cheryl Gillan MP, Lord Turnberg, Rt Hon Baroness Neville-Jones and Lord Patel as Vice-Chairs and Alex Sobel MP and Rt Hon Norman Lamb MP as officers. On 27 February 2019, the APPG held its Annual General Meeting at the 2019 Rare Disease Day reception. On 23 January 2019, the APPG held on social care and rare conditions. The hearing provided attendees with the opportunity to hear real life experiences of those using and working within the social care system. On 3 December 2018, the APPG held a third hearing on access to rare disease medicines in England. The hearing provided attendees with the opportunity to hear from individuals and organisations with experience of working in the field of rare diseases. An update was also provided on Genetic Alliance UK’s Resetting the Model project. On Monday 9 July the All Party Parliamentary Group (APPG) on Rare, Genetic and Undiagnosed Conditions held a meeting on the effect of Brexit on European Reference Networks (ERNs). The APPG ran this event following guidance from Genetic Alliance UK. On Wednesday 9 May the Rare Disease UK campaign launched their report on the mental health impact of living with a rare disease. This work evolved from an inquiry conducted by the All Party Parliamentary Group (APPG) on Rare, Genetic and Undiagnosed Conditions, which identified mental health as a key issue facing rare disease patients and carers. If you have any questions, or would like some further assistance, please contact Sarah Gilbert at appg@geneticalliance.org.uk or call 020 7 831 0883.